The Railway Man will open in Australian cinemas on the 26th December and in the United Kingdom on the 1st January 2014. The Railway Man is one of the most extraordinary stories to be told on screen in the past year. War changes men in ways in which those who haven't experienced the horrors of battle will never understand. For those who became prisoners of war and lived to tell the tale, how do you move on from something like that and find closure? The true story of Eric Lomax is unlike any you have heard before and is brilliantly adapted for the screen in The Railway Man. While the story is incredible, the cinematography, flawless acting and wonderful direction bring the spirit of the story to life and make it an incredibly emotional experience. 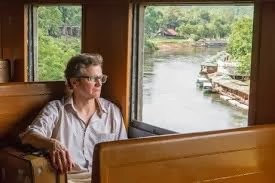 We first meet Eric Lomax (Colin Firth) on the train ride in which he meets the love of his life, Patricia Wallace (Nicole Kidman). The two fall madly in love with each other and are married. It doesn't take Patti long to realise that she has married a very disturbed war veteran and when she tries to talk about his past experiences with Eric, he shuts her out and tells her never to ask him again. It is only when she approaches his lifelong best friend, Finlay (Stellan Skarsgard) that she realises the horrors he has experienced and both her and Finlay know there is only one way Lomax can get past this trauma. Finding and taking his revenge on the man who was responsible for his torture. 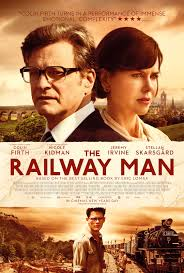 While The Railway Man is set largely during WW2, it is not the typical war film as it is set away from battle. Jonathan Tepiltzky's film shows the horrors of being a prisoner of war with Lomax being captured and being forced to work on the "Death Railway", the railway in between Thailand and Burma. The scenes set during this time can be quite graphic and are a reminder that it wasn't only on the battlefield that nightmares were made. It shows the different ways men lived with the horrors they had seen and how different men coped in different ways. The Railway Man is a very emotional film. It has the ability to make you feel very uncomfortable and is quite distressing, but it is the final 10 minutes of the film that are incredibly overpowering. Lomax's story has a completely unique and extraordinary ending that can teach everyone a huge lesson regardless of whether you have experienced a situation like Lomax's or not. There will be some who will feel that this story is a little far fetched, even though it is a true story. What happened to Lomax at the end of the film is extraordinary and not many other people, if any would have experienced thing. That is what makes this story so amazing and breathtaking on the big screen. The cinematography takes away nothing and adds everything to the film. Tepiltzky has the talent of making the audience feel as though they are standing right next to the characters rather than being an observer from afar. During the scenes in which they are making the railway, you can feel the heat and stickiness of the climate, but you can also feel on an emotional level the dread and misery in the air. While in the scenes with Lomax and Patti at home, you can smell the salty air and feel the chill of the Scottish coast and countryside. It is also a beautiful period piece that truly captures the times in which it is set. 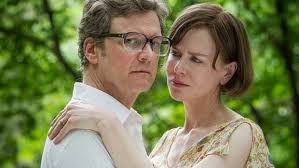 Colin Firth is once again brilliant in this film. From the very first scene you can see that his mind is not always in the space he is physically in and that he is a very troubled and disturbed man. His final scenes are incredible with Lomax's enemy, Nagase, who is played by Hiroyuki Sanada. Sanada, although not in the film for a considerable amount of time, is also brilliant. When he is faced with Lomax, you immediately see in him a man who has been able to convince himself over the years that he is an innocent, but struggles to maintain that once he is there with this man. The scenes with Firth and Sanada are wonderful, and the chemistry these two form is wonderful. Nicole Kidman is also wonderful as Patti. She and Firth work so well on screen together and her final scene where she finally comes to the realisation of what her husband has really been through is beautiful. Stellan Skarsgard is also very good. His Finlay doesn't overtly show his emotions in the way Lomax does, but his controlled manner even shows glimpses of his inner torment. The Railway Man is one of the best told stories on screen of the year. It combines great storytelling with magnificent film making It will not leave you with a dry eye, but will leave you filled with wonder.